If you are not already familiar with the impact that informal social networks have on your organization then you are both being left behind and are missing out on a great opportunity. Informal networks are networks that people who work together naturally create while in the process of getting their work done. They are a combination of social networks, peer groups and professional networks all wrapped into one. As such they follow the basic rule of any social network, which is to say that they engage heavily in collaboration, are highly interactive and are very difficult to control from the outside. In today’s world most these networks are the most influential force in an organization and represent the manner in which the vast majority of the work gets done in a company. However, most executives and managers view their organization as an Org. Chart and view their employees’ capabilities through the lens of their job descriptions. Many would argue that the dependence upon Org Charts and job descriptions are an effective way to manage because they have resulted in the success of the Industrial Age economy. I would say that this is a true statement yet at the same time this statement is also telling us that we need a fundamental change in how we view and run our organizations. Why the need for a change? Well, because we are no longer in an Industrial Age economy. China is, India is, but we aren’t. We have been entering into a Digital Economy for the past 20 years with the pace accelerating significantly in the past 10 years. While there are many, many differences between the two types of economies perhaps the most significant pertains to how people interact with one another in the workplace and how organizations and companies must therefor redesign themselves to deal with this new reality. Simply stated the Industrial Age business is designed very much like an assembly line. There are neatly defined departments populated with people with clearly defined job descriptions based upon the needs of the department. Work, decisions, permissions and authorities primarily flow vertically, either up or down within the departments and cross over at clearly defined interdepartmental intersections at, and between, clearly defined management levels. Everything on the surface looks nice and tidy; much like an assembly line. But the problem is that we no longer live in that world anymore. Today our world is highly interconnected which means our world now functions like a network as opposed to an assembly line. Everyone is heavily connected both via voice, video, digital and social networks. The intense exponential proliferation of the “world as a network” has now created an explosive phenomena we currently call “Social Networks”. Our transformation into a networked society and the exponential proliferation of networking, both human and technological, is creating tremendous stresses on our businesses and their leaders as they are forced to redesign their organizations to accommodate this fundamental shift in how the world now operates. People now work much more effectively and efficiently outside the strict confines of tightly controlled environments. In the new economy power is distributed; information is disseminated; the individual is demanding empowerment and knowledge, speed, flexibility and resilient interpersonal communications are becoming the most important assets of a company. a highly effective management tool but with the advent of the internet, the explosion of IT networking systems as management tools and the emergence of social networking as a human phenomenon the old method of operating by Org Chart and job descriptions has simply become too slow, cumbersome and wasteful to survive in today’s rapid fire world. This is because the people getting most of the work done in companies are not following the vertical pathways and clearly defined communication intersections that are laid out in the Org Chart. In fact, McKinsey studies suggest that as much as 65% of the work done in an organization is accomplished via interactions and conversations that occur through informal networks of people connected by a shared interest to get tasks completed and not by people with the specific job descriptions working within the confines of structured Org Charts. These studies show most people have designed informal “work-arounds” to compensate for the limitations imposed by Org Chart based designs. That is not to say you should eliminate organizational charts and job descriptions from your management toolbox. But their prominence needs to be repositioned if you are to have an organization that is capable of being fast enough, fluid enough and innovative enough to beat the competition to market and to survive in a networked world. You must embrace new management models and paradigms that reflect the world in which we live if one expects to have a successful business. This is not to say that you couldn’t have a company that is profitable in the short term using the traditional design methods. But, it would be similar to those companies who resisted embracing the need to computerize and network their organizations back in the 80’s and 90’s. Did all of them immediately die off? Of course not. But virtually none of them prospered and all of them came under heavy attack from more sophisticated competitors who were faster and better able to mobilize their intellectual capital. In today’s world we are being challenged to mobilize even more of our intellectual capital if we are to survive or prosper. The first step in accomplishing this task is to learn how Informal Networks in the workplace operate and what they respond to. First the good news: This is not rocket science. We have all been a part of Informal Networks. In fact, you are most likely already in several to one degree or another. So, much of what you learn about the inner working of these Internal Networks will be intuitive. But, your challenge isn’t whether or not you can function in an informal network. The challenge is whether or not you can manage them. This challenge is made even more complex by the fact that you are already knee deep in these networks because they already exist in your company but, you just can’t see them. So you are most likely thinking you are managing people who are operating within a clearly defined Org Charts and within neatly defined job descriptions. NOT!! What you are managing is an informal network. 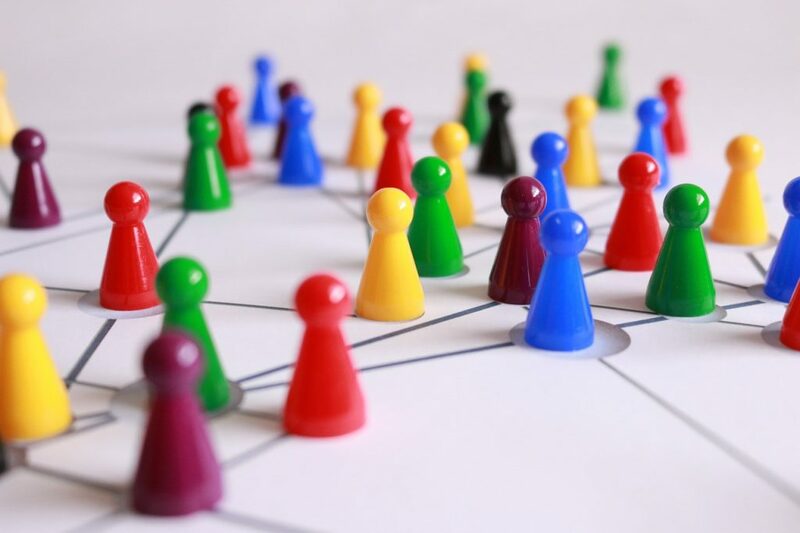 And if you are experiencing difficulty in managing your group I would suggest that it is because you are using tools that are designed to manage Org Charts when what you actually are working with is a highly functional, very smart and deeply entrenched social network. is that in the 21st century success will not those who continue trying to manage departments and people. It will come to those who become adept at developing the ability to manage the environment and the networks which the people have created to get the work done. Then as you do that you can then use the Org Chart as a means to insure people know who has what authorities to make decisions as opposed to it serving as a power matrix; which is something it was never intended to become. So how do we reorient ourselves and redesign our process while the plane is flying? By becoming familiar with the new dynamics at play and then start making adjustments. More good news is that this phenomenon is relatively new so if you start today you will still be ahead of most people’s learning curve on this issue. The first challenge is to learn enough about how these networks operate to understand them. The second challenge will be to see if you can break free from the centuries old industrial age management methodologies and begin to move towards a more open source method of management. The third challenge you will face is a personal one. And that will be a test to see if you are willing to give up enough of the power and the false sense of control that comes with being high in an Org Chart in order to become effective at managing a network. I think this is the biggest challenge most of us will face. Essentially the question is whether you can become open enough to consider functioning in the role of a “servant leader.” And in doing so begin to accelerate the capabilities of the individuals by empowering them and then leveraging the capabilities of the Informal Networks they form to increase profitability. Embracing this notion was my biggest challenge in my early days of transformation. It just seemed to be contrary to everything I had read or seen to date. But, I can tell you from first hand experience that once I began making the transition from leading from the front to empowering and guiding from within, the results were well worth the effort and were measurable. If you can begin to be successful in embracing this fundamental paradigm shift you will begin to see for yourself how much latent and resourceful human capital is just waiting for you to tap into and utilize. Becoming a servant leader also begins to give you opportunities to start being able to explore the concept of managing environments and networks as opposed to people and departments. You will find that the time you spend managing people will be significantly reduced; the group’s productivity will increase, your stress will be lessened, your team will become more engaged and there will be a higher degree of personal responsibility undertaken by the individuals in the group. I know this sounds like the Holy Grail of management but if you start out small and stick to it you will experience the results for yourself. If you need more information on how to begin on the path to being a servant leader go to the Resource page of my website (www.capabilityaccelerators.com) and read the articles under the heading of The Bigger Know. Next month I will begin explaining the characteristics of Informal Networks and provide some insights on how to engage them.